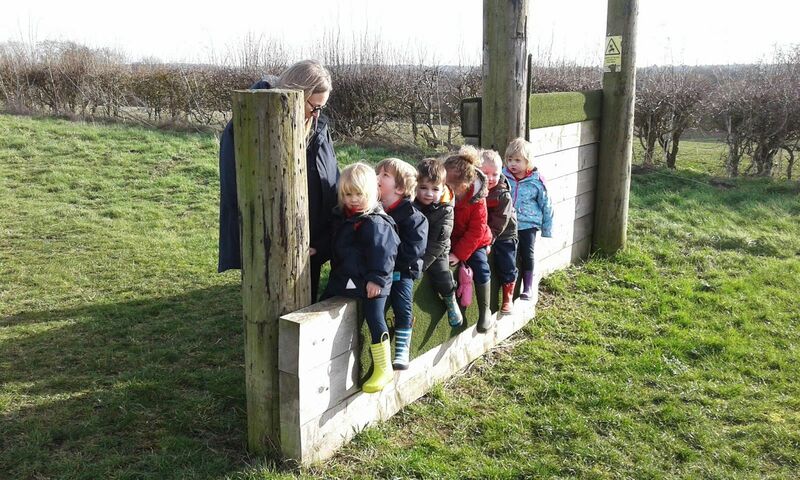 The term has flown by with a flurry of activity in the Early Years department. Our Nursery children have continued to develop their personal, social and emotional skills with activities based around familiar stories. Fun was had when the children made bread just like the Little Red Hen and printed with vegetables after listening to the story of ‘The Enormous Turnip’. The children created lots of indoor and outdoor dens, an interest which we hope to develop further in the Summer Term. A recent delivery of frogspawn created much excitement when the tiny tadpoles emerged. The children will continue to watch as the tadpoles change into frogs, which will later be released into the river. The Pre-School children also embraced the arrival of Spring when they used digital cameras to record emerging buds, blossom and spring flowers. Technology was further explored in the classroom with the arrival of some tabletop light boxes. These allowed the children to explore colours, shade and light and dark as part of their topic ‘Over the Rainbow’. The topic also saw the children eat a rainbow of fruit and recreate patterns from nature. Our children also embraced the Read Write Inc scheme and made super progress with their letter sounds, and enjoyed following up their carpet sessions with activities linked to the sound of the week. When learning the ‘p’ sound last week they printed with potatoes as well as planted seed potatoes. We hope to harvest a bumper crop next term which the children will help to prepare and eat. We were delighted to welcome so many Nursery and Pre-School parents to our recent Mother’s Day Assembly. The children delighted us all with the catchy ‘Spring Chicken Song’ and we hope you will all join us in the summer term for our Teddy Bear Picnic celebrations down by the teepee. We decided to go for a walk and have a go at the Copthill trim trail! A good time was had by all. We looked at day and night and light and dark. In Read Write Inc. the children learnt the n sound and followed up their carpet sessions by making night time pictures using chalks or cutting and sticking nocturnal animal pictures. The children had lots of fun experimenting with the table top light boxes. 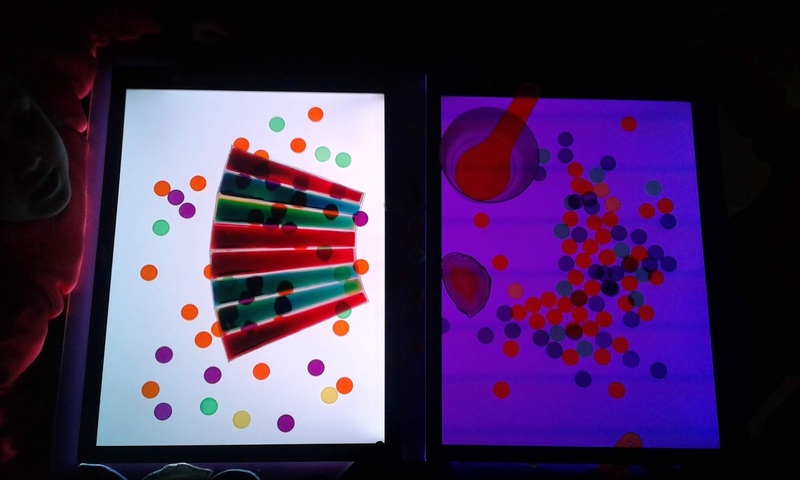 They were able to change the colour and brightness using the buttons and enjoyed placing different coloured items on the panels to create different effects. The children also looked at shadows by spotting them in the quad and by using a lamp to cast shadows on to paper. The children used pens to draw around the shadows.